Helping Airmen is the singular philosophy driving everything at Air Force Aid Society. More than 37,000 assists in 2018, over $21.4 million in direct help through emergency financial assistance, education support and community programs. Air Force Aid Society provided $6.5 million in emergency assistance grants to Airmen. 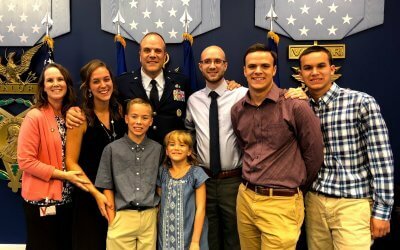 Sanchez found relief from his squadron’s Facebook page where he saw the Air Force Aid Society was providing $1,500 for Airmen with dependents. AFAS education grants provide a sense of relief for a family of eight. 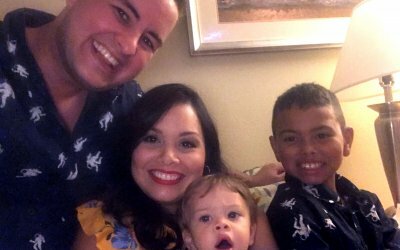 The financial assistance AFAS provided has helped to relieve the Greiner family’s anxiety and stress of worrying about how to pay for their children’s college education. The assistance given to me supplied my family the break needed to get back to a stable financial position. I’m not ashamed to say that I needed help, and my wingmen rescued my family.